Creative Diagnostics is a technology-based manufacturer specializing in monoclonal antibodies development and large-scale production. Due to strong technical background and numerous successful cases, Creative Diagnostics is perfectly qualified for monoclonal antibodies production in bulk. We are unparalleled in offering the best matched pairs of monoclonal antibodies in the industry. 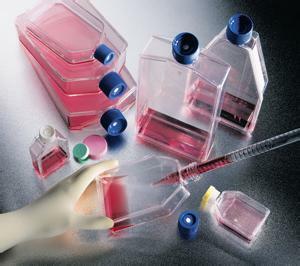 Both in vivo ascites production service and in vitro tissue culture are available for monoclonal antibody production at mg to gram scales. Welcome to contact us. Specialized antibody team from Creative Diagnostics is committed to offering the best possible monoclonal antibodies to your satisfaction.